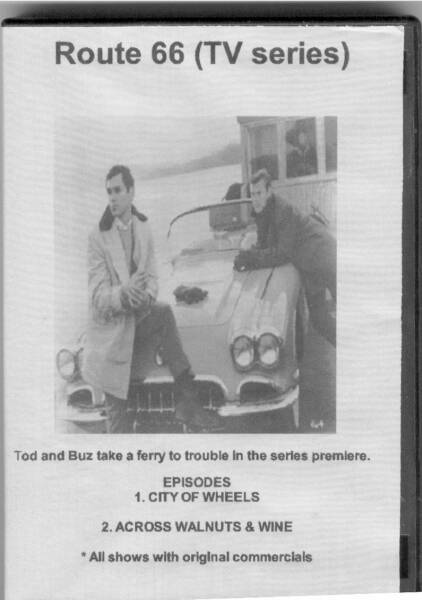 Route 66 was an American TV series in which two young men traveled across America. The show ran on CBS weekly from 1960 to 1964. 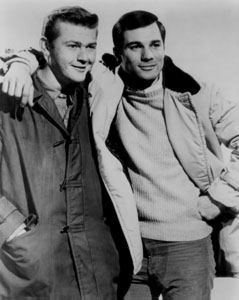 The series starred Martin Milner as Tod Stiles and for two and half seasons, George Maharis as Buz Murdock. Maharis took ill for most of the third season and we saw Tod on his own. 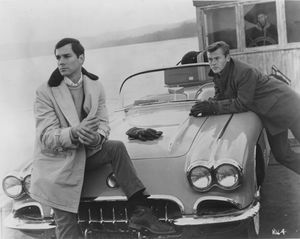 He met Lincoln Case, played by Glenn Corbett, late on the third season and he stayed in the series until the final episode. These shows are complete with the original commercials!